Pre-heat oven to 220°C. Spread the sugar over the prepared oven tray. Caramelize for approx. 10 mins. in the lower half of an oven preheated to 220°C until the sugar turns a pale brown colour. Remove, distribute the butter over the caramel, allow to melt. Place the pears in the caramel, cut side down and packed closely together. Bake for 10 mins. in the centre of an oven preheated to 220°C. Remove from the oven. Firmly prick the dough with a fork and lay loosely over the pears. Gently press down the edge of the dough. Finish baking: remove the tart after about 15 mins., leave to stand for 5 mins. 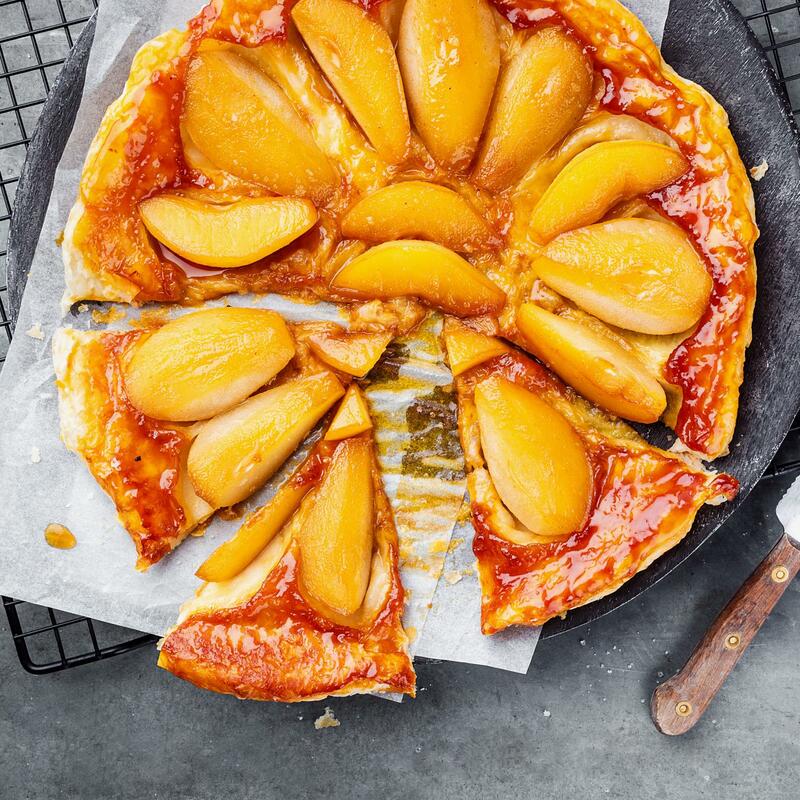 Carefully turn out the tart, season to taste with a little Fleur de Sel, serve warm.